A fantastic addition to our range of high quality garden sheds, these pressure treated sheds combine the very best in materials, construction and treatment. Our pressure treated garden sheds provide a durable, low maintenance building that will last a lifetime. Each is made from sturdy 12mm tongue and groove cladding teamed with robust 2 x 1 framing throughout. Buy a pressure treated wooden shed with our massive 15 year anti-rot guarantee for complete piece of mind. Suitable for all gardens, this Waltons wooden log store provides a sheltered space to keep logs tidy and dry. The open design encourages air flow for drying out fire wood and provides easy access. Waltons log stores are made from robust, durable materials for a long lasting design. This compact Waltons pressure treated wooden storage unit is ideal for gardens of all sizes and provides a secure place to store general or frequently used gardening tools and items. 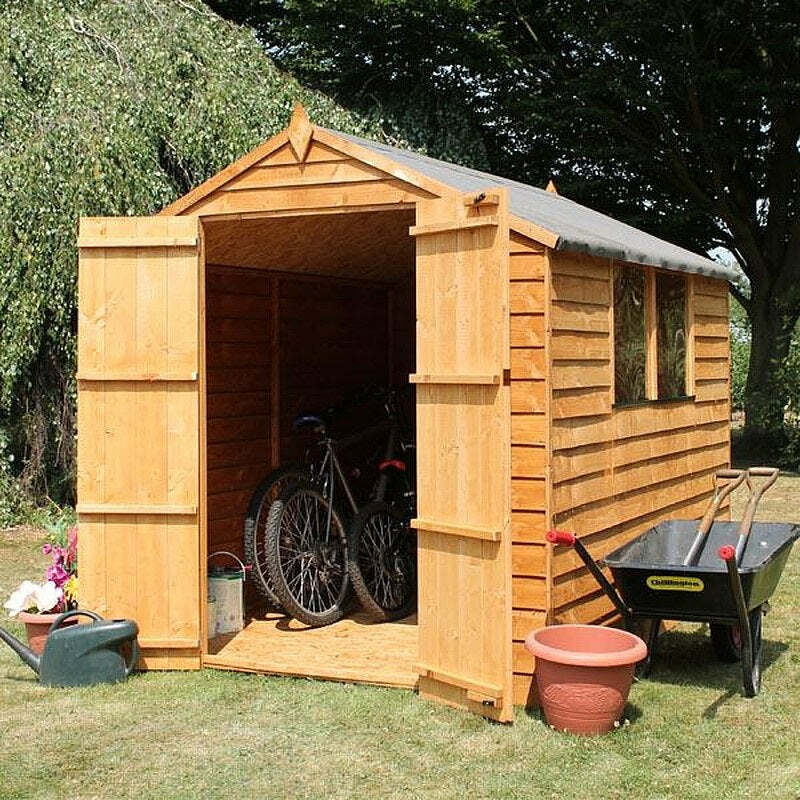 This Waltons Pressure Treated Reverse Apex Shed is a great addition to any garden and offers space to store away gardening tools and outdoor equipment or is great for use as a workshop. You can be confident that this shed will look great and offer many years of service thanks to the high quality materials used. This large Waltons pressure treated wooden storage unit provides space to store logs and general gardening equipment. Ideal for all gardens, this wooden unit is an ideal storage solution that will last for many years. This Pressure Treated Wooden Garden Shed is the perfect product if you need a large amount of garden storage space. Ideal for everyday storage and as a small workshop. This Pressure Treated Wooden Garden Shed is one of our largest garden buildings in this range. High quality timber comes together to create a massive storage area that is perfect for use as a garden workshop. This Pressure Treated Wooden Garden Shed is one of our largest garden buildings in this range. Quality materials combine to offer a large interior space that is ideal for use as a garden workshop.